Some of the most visible changes include the addition of volunteers, a change in the mentality and bad habits of the local population, a coming together of society and the authorities, the gratitude of the tourists and the environmental benefits obtained. 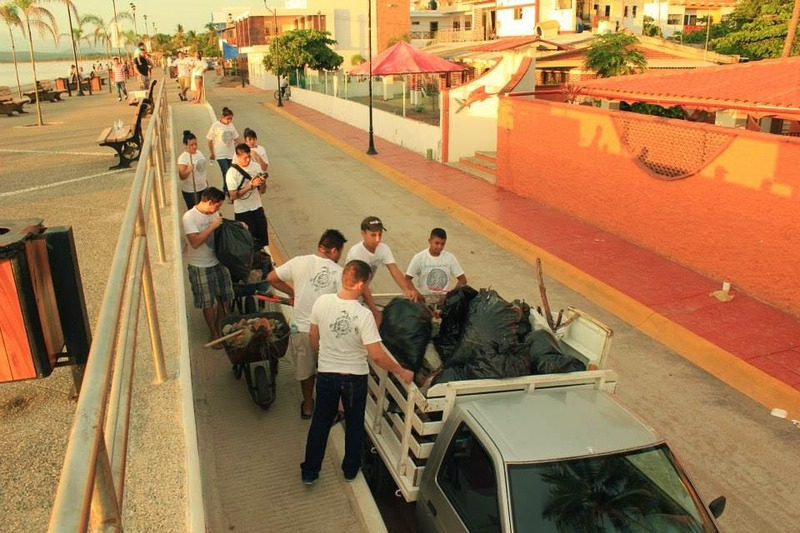 This Saturday January 10th marks the 8th edition of the Riviera Nayarit Beach Cleanup Network. Seven cleanups took place in 2014 and this year all 12 months will be completed. These civilian actions have achieved a domino effect that has sparked a multifaceted cultural shift. The currently registered groups—which number 15—have kept growing over the past few months. This has provoked a social impact that has changed the mentality and the bad habits of the people who inhabit the coastal communities. Pedro Galaviz, President of the Grupo Grano de Arena, confirmed these statements. His group began cleaning up in La Peñita de Jaltemba, inspiring other volunteers to come together and do their part in Guayabitos, Los Ayala and San Pancho. The trash removal, the image improvements, the care of the environment and other positive effects of these activities has incentivized the coordination between the authorities and the community for the benefit of the people of Nayarit. “During the holidays the tourists would see us cleaning up and they’d thank us, pitch in and put their trash in our bags. From the moment we started the program we’ve also seen how people have stopped throwing trash on the beaches,” Galaviz pointed out. “We’d like to thank the Riviera Nayarit CVB for this fantastic initiative that is still viable and must be continued throughout the year,” he added. For more information and comments, if you’re interested in more details about the project including the hours and meeting places or would like to propose your community join the Riviera Nayarit Beach Cleanup Network, please call 2 97 25 16 ext. 108, and someone from the Riviera Nayarit CVB will be happy to help you.